Prominence Homes, 1998 Home Builder of the Year and 2 time coveted Peoples Choice Award ! New Stonecreek model available! Lots left in the Harvest Hills Development! Although receiving this award is a tremendous honor, it is not the first time Prominence Homes has been recognized for the quality of homes it builds. 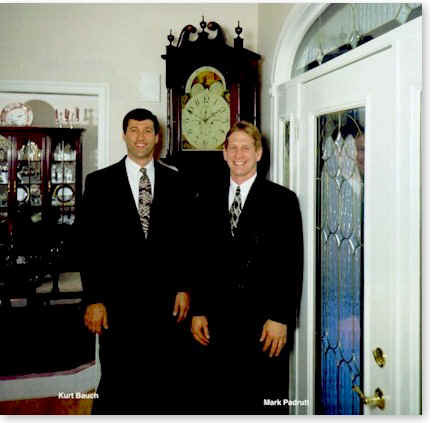 Since Mark and Kurt formed the company in 1989, Prominence Homes has also been involved in several Parade of Homes, winning various honors including Best of Show. They have also participated in Best Homes competitions, winning first place and other honors. Earning top awards for both events the very first time they entered  in 1994  was a sign this building company had a promising future. Prominence Homes was previously featured on our Builder/Architect cover when it was a fairly new, up-and-coming company, already making its mark. Over the years, the company has grown and prospered, gaining scores of satisfied customers. Send mail to webmaster@prominencehomes.com with questions or comments about this web site.